After releasing his footage of white supremacist James Alex Fields driving into a crowd of protesters at Unite The Right, Brennan Gilmore became the target of massive online harassment — spurred, the suit alleges, by online provocateur and Infowars host Alex Jones. On Aug. 12, 2017, Brennan Gilmore had his phone out and happened to be filming a video when a white supremacist drove his car into a group of counterprotesters at a Nazi rally near the University of Virginia campus, killing a woman named Heather Heyer and injuring many others. More than a year ago, Gilmore, whose footage ultimately helped convict Heyer’s killer, sued Jones and others on defamation charges. The defendants later asked that the suit be dismissed. 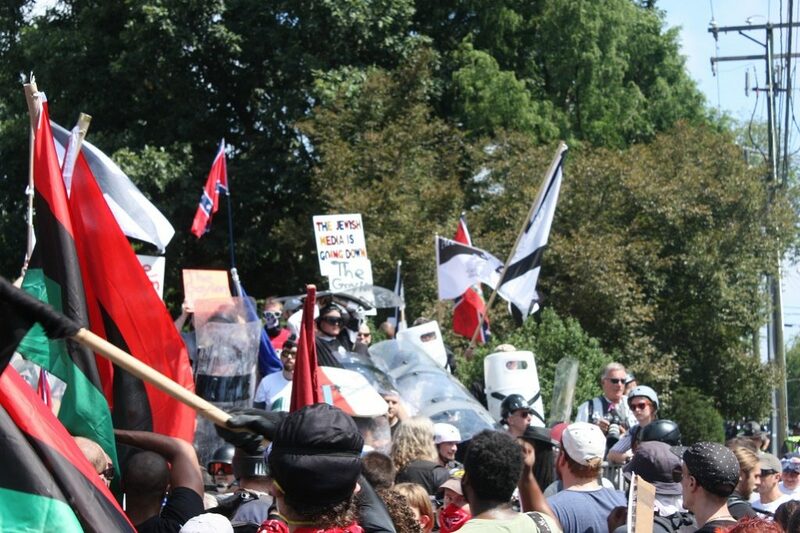 The case took an important step on March 29 when a federal judge in Charlottesville rejected the defendants’ motion for dismissal and allowed the suit to move forward. According to court documents, Gilmore is employed as a foreign service officer for the U.S. State Department and has been on a leave of absence since 2017. He currently works as a business consultant for an information technology company. For more than a week after the rally, court documents state, Gilmore faced “a barrage of harassing and threatening messages.” It was during this time frame that Jones and the other defendants released their videos and articles. The harassment escalated quickly, court documents said. “Gilmore describes disturbances such as attempted hacks into his online accounts, the posting of his parents’ address online, a confrontation with a disgruntled stranger on the street, and the mailing of an unknown chemical substance to his parents’ home,” Judge Norman K. Moon wrote in a memorandum opinion. Gilmore said the harassment from Jones, his publication and his audience caused physical, emotional, and professional damage, including depression and the loss of vision in his right eye. The harassment also may hurt his career at both the technology company and the U.S. Department of State, the lawsuit said. Gilmore originally sued in March 2018 for both defamation and intentional infliction of emotional distress. The recent court ruling dismissed the claim of emotional distress on grounds that it was not sufficiently severe. Moon said Gilmore is still active socially and professionally. However, Gilmore’s defamation claims will move forward. Scott Creighton, of Tampa, Florida, who owns and writes for the website American Everyman. According to the suit, on Aug. 13, 2017, Creighton published an article on his website and a video on his YouTube channel that Gilmore said was defamatory. Creighton’s YouTube channel has since been suspended. James Hoft, of Saint Louis, who owns and writes for the website Gateway Pundit. On Aug. 14, 2017, the site published an article calling Gilmore a “deep state shill with links to George Soros,” according to court documents. Lee Stranahan of Dallas and Lee Ann Fleissner (also known as Lee Ann McAdoo) of Sarasota, Florida. They appeared in a video posted on infowars.com. 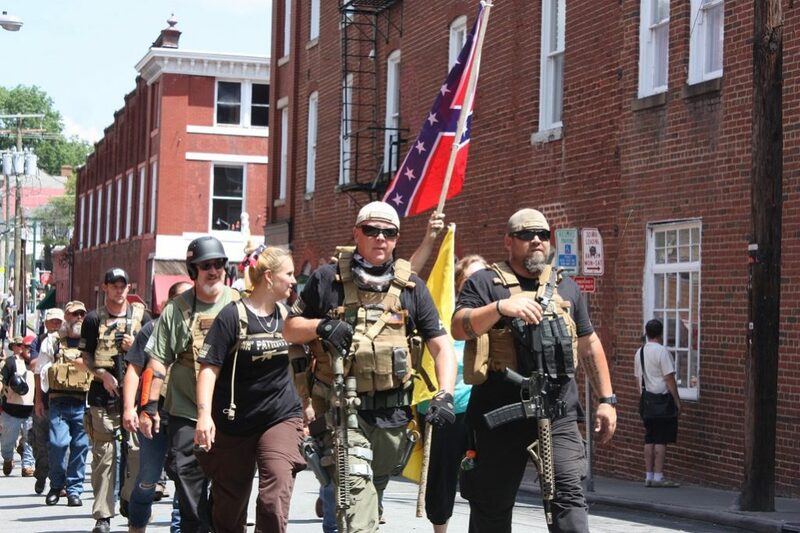 It attempted to connect the Charlottesville rally to a Ukraine coup that they say was sponsored by Soros and the Obama administration. The video tried to implicate Gilmore in the conspiracy. Alex Jones, of Austin, Texas, who owns and publishes the Infowars website, along with affiliated radio and video programs. Jones allegedly posted Stranahan and Fleissner’s video on his YouTube and Twitter pages, as well as another video containing defamatory statements against Gilmore. Both alleged articles were posted Aug.15, 2017, three days after the rally. A hearing date in Gilmore’s suit has yet to be set. By Benjamin West, Capital News Service. Photos from Unite The Right by Jesse Adcock, via CNS.